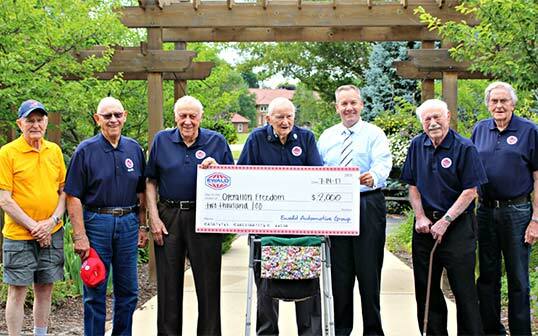 Delafield, WI (July 7, 2017) The Ewald family announces contributions to eight local military charities this July, that include: The U.S.O., several American Legion posts, Operation Freedom and Dryhootch. The contributions were raised during the company’s Military Appreciation Sale earlier in the year. The Ewald family, together with their employees, has contributed over $135,000 to military charities over the past several years. 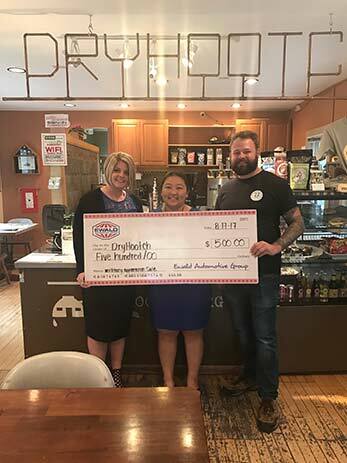 Some of these organizations include: The Fisher House of Wisconsin, The Oconomowoc War Memorial Park, Veterans of Foreign Wars, Stars and Stripes Honor Flight, The Troop Café, The Stand Up and Play Foundation and The Folds of Honor Foundation. According to Managing Partner, Tom Ewald, “We are extremely proud to give back to veterans’ organizations that demonstrate direct benefit to deserving veterans and their families. We are also fortunate to employ over 40 veterans throughout our company and are always willing to provide opportunities for more.” Moving forward, the Ewald Automotive Group is eager to support more for our veteran’s causes and to provide employment opportunities. 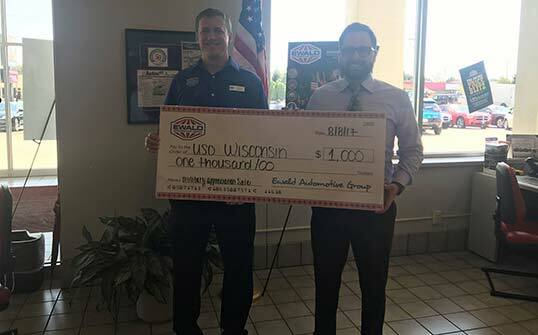 Since 1964, Ewald Automotive Group has served the communities throughout southeast Wisconsin. Ewald specializes in sales and leasing of new and used vehicles servicing all makes, parts and accessory sales and rental vehicles. Ewald represents Chevrolet, Buick, KIA, Ford, Chrysler, Jeep, Dodge, Ram and Airstream brands in seven locations conveniently located throughout Southeast Wisconsin. Visit www.ewaldauto.com/military or www.ewaldauto.com/careers for more information.